It is rumored that when the first Mammoth-class heavy hauler was in development, the CEO of its manufacturer would visit the complex housing the ship's design team every day and say "it's too small, it’s just too small," and every day, they would increase the ship's proportions. They later learned, only after the ship went into production, he had been referring to the building itself and not the ship design. In the end, what they ended up with was a cargo ship that dwarfed even the mighty Star Destroyers of the Galactic Empire. The Mammoth had a downright cavernous cargo hold, one that could arguably carry enough raw materials to build the infrastructure of half a planet. 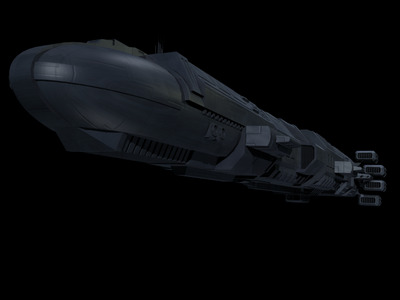 If the ship were equipped with a large enough opening, it could conceal in itself the flagship of the Black Sun fleet, the Darkstar Battleship, or four of Hapes' Nova Battle Cruisers. The ship is, however, an easy target for raiders and pirates since it is slow, carries no weapons of its own, and has no docking bay for support vessels.